Adaptation of the classic Shakespeare tragedy. Set in 16th-Century Venice, the story follows the lives of a group of Christian noblemen and their interactions with the Jewish moneylender Shylock (Al Pacino). 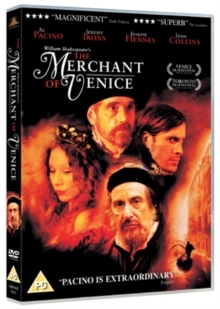 Antonio (Jeremy Irons) borrows money from Shylock but when his shipping business is wrecked and he can't afford to pay back the loan, Shylock claims his forfeit in the form of a pound of Antonio's flesh.